Not that the integrity of either World Chess Champion Viswanathan Anand or World No. 1 Magnus Carlsen is doubted, yet the players will have to reach the playing hall at Hotel Hyatt Regency, in Chennai, 10 minutes before the start time of the game. We did witness an elaborate security check for players at the recently-concluded World Cup in Tromso, Norway. Something similar will be implemented in Chennai. It is the entire chess community's responsibility to ensure that fair play is endorsed at all levels in the sport. A mandatory security will be conducted on both the chess players. Only the players and stewards shall be allowed in the actual playing area except with the permission of the Chief Arbiter or his Deputy. Both players will have access to the same toilet facilities during the games. There will be no separate rest rooms for the players during the games. Both players shall use the same rest lounge area which shall be on/at the stage and visible by the Arbiter and the spectators, according to the FIDE regulations. During the playing session the following additional regulations shall be in force: - The players are not permitted to bring into the playing area telephone, technical and other equipment extraneous to play, which may in any way disturb or upset the opponent. The Chief Arbiter shall decide what constitutes extraneous equipment liable to offend the opponent. - A player may communicate with an arbiter. - During the playing session, a player may leave the playing area only with the permission of the Chief Arbiter and only if he is accompanied by one of the arbiters. - The games will be played in a soundproof area that would be cut off from the audience and journalists by a glass partition. Yes, Anand and Carlsen will have to fight it out one-on-one, in their heads alone! For any infringement of these rules, the Chief Arbiter shall have the right to impose a fine of not more than 5,000 (five thousand) euro. The player may protest to the Appeals Committee in accordance to the proceedings laid out in the FIDE handbook. The FIDE President shall nominate, from within the Presidential Board, three members of the Appeals Committee one of whom shall be Chairman. All protests must be submitted in writing to the Appeals Committee not more than two (2) hours after the finish of the relevant playing session, or the particular infringement complained against. f) all other matters which the Appeals Committee considers important. If possible, the Appeals Committee shall reach a decision not more than two (2) hours after the submission of a protest. The appeals process shall include written representations and a written decision. The Appeals Committee shall endeavor to find binding solutions that are within the spirit of the FIDE motto, Gens Una Sumus. Each protest must be accompanied by a deposit fee of €3000 (three thousand Euros) or the equivalent in local currency. This can also be done if the player makes a written request that FIDE withholds the fee from his prize money. If the protest is accepted, the fee shall be returned. If the protest is rejected, the fee may be forfeited to FIDE. The written decision of the Appeals Committee arising from any dispute in respect of these regulations shall be final. The FIDE Supervisor can request from the organizer and at their expense, any additional security arrangement he finds necessary, in logical terms, in order to secure a fair match and equal match conditions for the players. The Organizer has to implement the decisions of the FIDE Supervisor in all issues involving the above aspects before and during the match. Any decision of the FIDE Supervisor can be appealed by the players only to the Appeals Committee. Since the match is not in a organised in a "neutral" country, Carlsen is allowed to suggest which member of the FIDE Presidential Board he prefers as FIDE Supervisor. Where the appointment of a FIDE Supervisor is not necessary, his functions and responsibilities shall be assumed by the Chairman of the Appeals Committee. FIDE shall ensure the playing hall and its environs meet at least the requirements of the FIDE Regulations for the Organization of Top Level Tournaments. For security and administrative reasons, both participants with their teams, FIDE officials and accompanying persons are expected to stay in the official hotel. After FIDE agrees with the Organizer on the arrangements in respect of the tournament hall, facilities, accommodation and meals, transportation, telecommunication, ceremonies, etc., no objections from the participants shall be accepted. Both Carlsen and Anand have already inspected and okayed the venue. The Players shall be entitled to inspect the accommodation arranged for them at the Venue three (3) days before the first game of the FWCM match and shall be entitled to make reasonable requests regarding such accommodation which the organizer shall use all reasonable endeavors to accommodate. The Players – shall inspect the playing hall in the presence of the Chief Arbiter and representatives of FIDE and the organizer, two (2) days before the first game of the FWCM at 3 pm. The Organizer shall use all reasonable endeavors to satisfy the reasonable requests of the players in relation to the playing hall. The official website chennai2013.fide.com for the World Chess Championship match Viswanathan Anand versus Magnus Carlsen 2013 could be online within 10 days, or by the latest, during the first week of October. The official website of the Anand versus Gelfand World Chess Championship 2012 match in Moscow. Sources said the World Chess match official website would offer ticket sales, profiles of the participants, complete schedules etc as is the tradition with all world championship sites along with details for visiting journalists, contests, memorabilia sales and more. The World Chess match official website will also offer a state-of-the-art hi-tech Internet live broadcast system on a par with what was witnessed in Moscow for the Viswanathan Anand versus Boris Gelfand World Chess Championship 2012. There will be contests during the live broadcasts and daily chess events as well. According to FIDE handbook, the players are expected to co-operate reasonably with the media. General interviews with them can be arranged through the Press Officer and the team managers, but it is understood that exclusive interviews shall be arranged only after the FWCM has been concluded. Sources also said some of the most entertaining and interesting chess commentators would be invited to be a part of the big celebration that the World Chess match is going to be in Chennai this November. Immediately after the completion of a game both players have to take part in post game press conferences, of not more than 20 minutes duration. The players must be present at all official functions during the match including official receptions, the opening ceremony and the closing ceremony. All of this will be broadcast live to the worldwide audience of chess fans. It is interesting to note that the FIDE regulations require the players to to wear suits during the playing session. Players are allowed to wear branding of their personal sponsors only if these are not in conflict with the FWCM sponsors. P.S. In case of a domain change, we hope to inform you soon enough. Chess world's Guy of the Season, Magnus Carlsen had at least 2,000 girls screaming a welcome when he recently visited Chennai, the venue of the forthcoming World Chess Championship 2013. Trust us, in India, not many people would seriously bother with professional chess except for those in the cities of Chennai, Hyderabad, Kolkata, New Delhi and Mumbai. 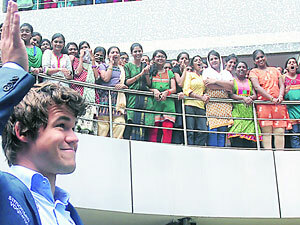 The kind of welcome Carlsen received is reserved only for cricket players or film stars in India. Chess, as a sport, has failed to capture the imagination of the nation despite Viswanathan Anand being a name easily recognised across the country. 1. 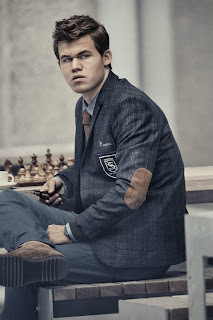 The Magnus Carlsen Brand of Passion: Didn't they say chess was played by bespectacled dweebs and nerds, or oldies, who took the art of being anti-social to the next level? 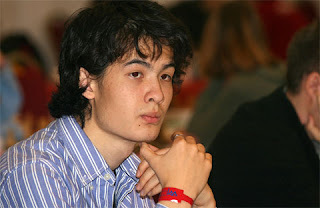 Carlsen has changed all that in one stroke. He describes himself as an athlete on his Facebook page, is incredibly fit, dresses like a model (is one), and speaks his mind. He is a 21st Century champion who seems to have brought back the mystique and charisma of Bobby Fischer with modern fizz, elan, passion and sanity. Youngsters can relate to him, seniors enjoy trying to fathom his chess style and everyone who plays chess is inspired by him. 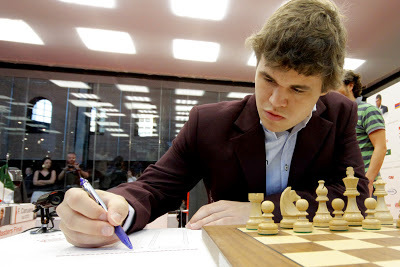 He has also added great commercial value to the sport of chess as well. Only Carlsen (or Kasparov) could dare say this: "It has been a while since I went into a game with losing as an option." 2. To hell with Chess Computers: Just when the chess world was sure that computers had destroyed the game, Magnus Carlsen has shown the way for humans. Carlsen's is a secret chess path that might be difficult for human experts to understand for at least another decade, yet he's shown how to tell those machines to shut up. He doesn't bother too much with computer-learned openings. That also spells hope for the vast majority of chess lovers out there who have other things to do (like earning their daily bread) while wanting to play good chess at the same time. 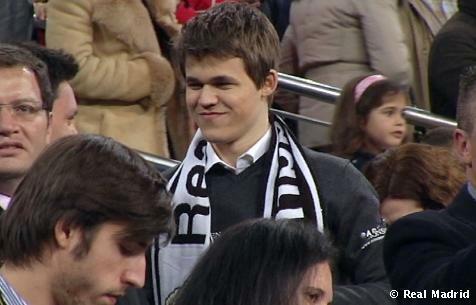 We can't help cheering for Mr Carlsen. 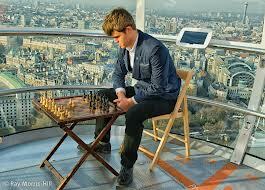 Carlsen has also said, "I’ve never been much of a (chess) computer guy at least in terms of playing with computers. Actually until I was about 11, I didn’t use a computer for preparing for games at all. I was playing a bit online, was using the chess club mainly. Now, obviously, the computer is an important tool for me preparing for my games. [But] in general I get much more pleasure from playing human opponents. That’s why I never really played with computer. I just analyse when I’m on the computer, either my games or my opponents. But mostly my own." 3. 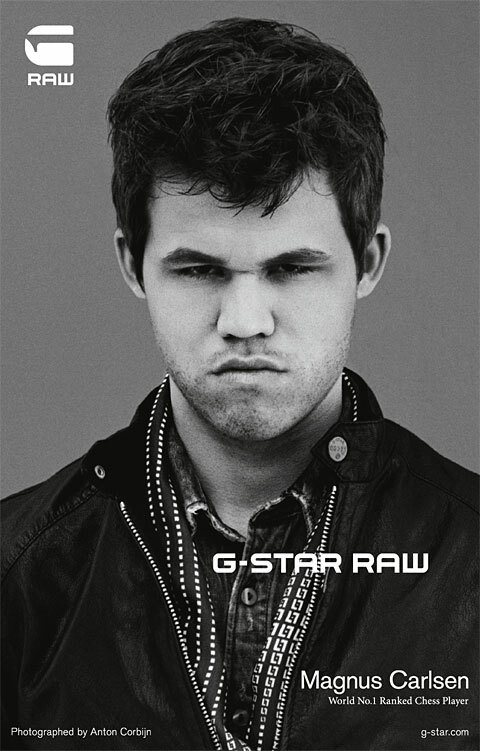 Killer Carlsen: He's not a drawnik chess Grandmaster. No way. 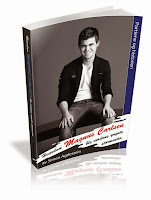 No one could have put it better than 2012 British Chess Champion Gawain Jones when he remarked that Magnus Carlsen draws blood from stone. 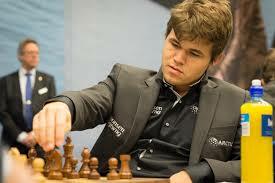 Carlsen has himself said that he does not believe in draws. Draws have been killing chess for quite a while now. Carlsen brings chess back to life. About draws in chess Carlsen says, "I just think at top level tournaments you should play out the games... At top level tournaments, there’s simply no excuse for not playing out the games." 4. 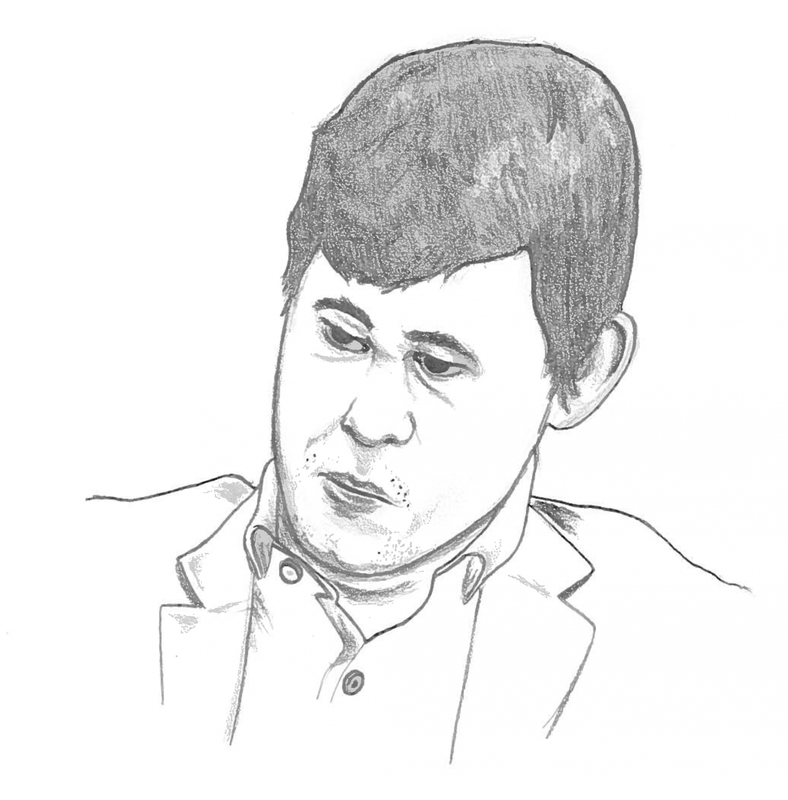 Carlsen's New Age Fundamentals of Fun: Carlsen has always insisted that "For me, it’s about playing as long as I’m motivated, as long as it’s fun, as long as it’s interesting." The 22-year-old chess champion doesn't care about money despite already being in the millionaire's club with his earnings. That's exactly what all New Age gurus speak about: Do what you're good at and have fun with. Dump that materialism. The New Age concept is a rage with the youngsters giving them a new way to view both chess and life. This 'Carlsen-itis' is infectious! 5. Pure Chess Talent: There's no doubting that Magnus Carlsen has pure chess talent - part God gift and part hard work. 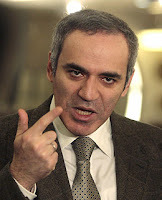 He has also been coached by the very best, the legendary Garry Kasparov. 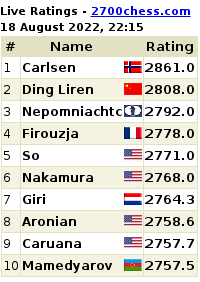 Carlsen has already set the world record of the highest chess rating achieved by a human on the planet at 2872! That's beyond stratospheric really. World Chess Championship 2013 GM interview: Mumbai, September 8: With the buzz surrounding the contest between five-time champion Viswanathan Anand and world number one Magnus Carlsen, chess Grandmaster Pravin Thipsay said it would have been favourable for the Indian if the match was not scheduled in Chennai. "The match being held at Chennai, I am not sure if that will have a good effect. Anand would be under a lot of pressure. I think this is not favourable for Anand," Thipsay said at the Sports Journalists' Association of Mumbai awards on Sunday. The match is slated between November 7 and 26 in Chennai. 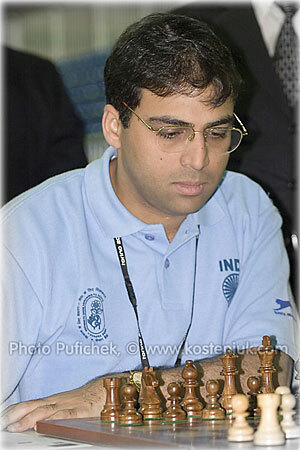 Analysing the players, Thipsay said that Anand has struggled in the past against players who take risks. "The only problem with him is the players who are very erratic and players who play positions, which are not known to them. There are players who are natural gamblers and they play variations without knowing what will happen. Anand has always been bad against such street fighters. If he is able to study the style of a player, he can beat anybody," he said. He said if the 43-year-old Anand doesn't make it a matter of prestige against his 22-year-old opponent then he is likely to succeed. "Overall it's a match between a master of the game and one of the best street fighters. 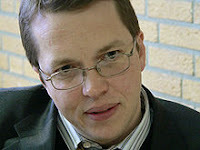 Carlsen plays very similar to one his first coaches, Grandmaster Simen Agdestein. He gets into positions which are not known to him and not known to the opponent either. 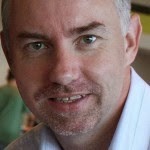 The positions which are not ambitious and he doesn't know what will happen," he said. The chess ace also pointed out that Anand is an attacking player and his weak point has been the defense. "Anand's drawback has been the defense. He is an attacking player. His attack is based on the sound position of style. Only after he gets into a better position, he goes for the attack," Thipsay said. He said the match would be a tough one but felt it would be a one-sided contest. "I feel the match will be one-sided. Either the master wins easily or the street fighter wins easily. There is no scope for any unclear thing, because it is such a divergent style. It is going to be a tough match. I am very anxious and also I don't know what the result of the match will be," he said. Dronacharya award winner Raghunandan Gokhale said it is difficult to predict what will happen but said the sport would benefit from it. 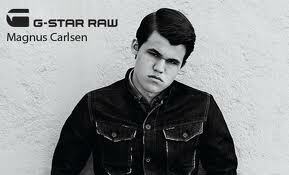 This special music video was shot with Magnus Carlsen for a promotion of the Norway Chess Tournament 2013. It was Produced for Norway Chess by Genesis Film and features the Pulpit Rock (Preikestolen in Norwegian). The Norway Chess 2013 Super Tournament was held from May 7th to 18th, 2013 in four different locations in the Stavanger region. 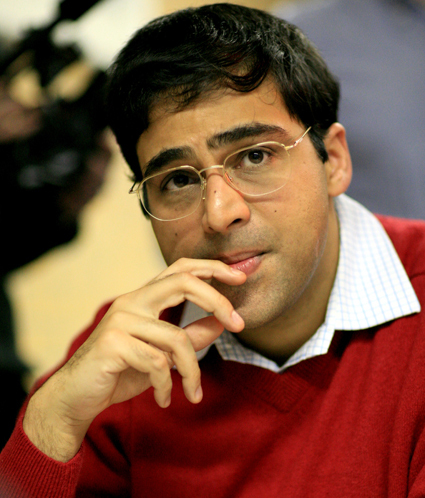 It featured Magnus Carlsen, Levon Aronian, Vladimir Kramnik, Vishy Anand and other top ten players. Norway Chess made the promotional video with scenes of Magnus playing against Kristoffer Madland, a Norwegian Youth Chess Champion, on a giant chess board atop the Pulpit Rock above Lysefjorden in Norway. This promo video features the chess prodigy himself with Hanne Sørvaag. Hanne Margrethe Fredriksen Sørvaag, 33, is a famous Norwegian singer/songwriter, who was born in Stavanger. The video surely takes your breath away every time you watch it and captures the true spirit of Magnus Carslen - The Fearless: The human who dared go where no chess player has ever been before. World Chess Champion Viswanathan Anand has starred in at least four commercial advertising campaigns. His wife Aruna has been a part of two of these advertising films as well. Vishy Anand has been a brand ambassador for NIIT (global IT services company) for 14 years now. Brands he has associated with include AMD India, Union Bank of India, Parle-G, Crocin, etc. These brands have tried to leverage not only Anand’s intelligence quotient, but also his image of the "likeable, quiet powerhouse" champion and dependability. Anand epitomises determination, intelligence and resilience. His brand image in India is all about credibility. Among the various marketing campaigns with the chess master, the prominent ones include an NIIT mind champion’s academy, a joint initiative between Anand and NIIT with the objective of promoting chess among school students. Its direct connect based marketing strategy for this ten-year-old academy, that boasts of 15 lakh members, focuses on on-ground activities like mentoring, and lectures by Anand. Its latest campaign ‘Turning Point’ will also see similar interactive activities by Anand. Most experts agree that NIIT has benefited tremendously from its association with Anand, who has a hard appeal which goes well with the brand’s intended positioning and career oriented outlook. According to Dr Prashant Mishra, Associate Professor IIM Calcutta, besides NIIT, AMD’s association with Anand is also a correct fit since AMD talks of performance, stability, and technical intelligence; traits that perfectly match Anand’s personality. Real estate developer TVH also took on World Chess Champion Viswanathan Anand as brand ambassador late last year. 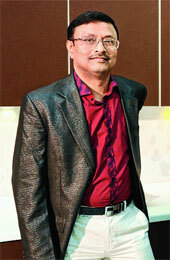 N. Ravichandran, Chairman, TVH Group, said the company had created a niche by being a customer-centric real estate brand. 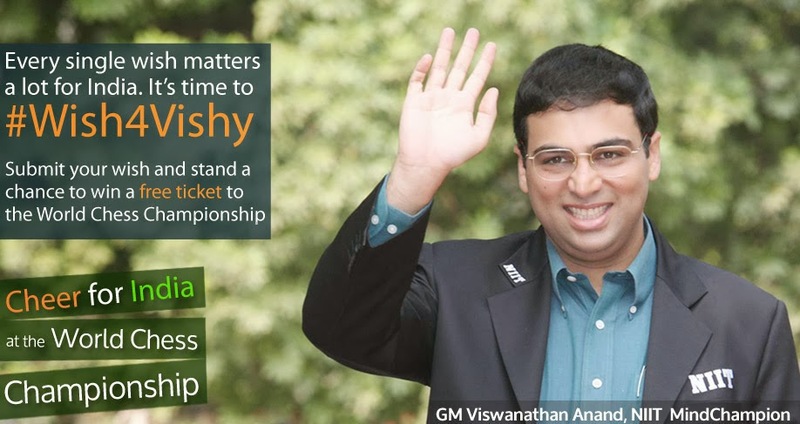 “The credibility factor associated with Mr. Viswanathan Anand, as a result of his impressive track record, prompted us to have him as our brand ambassador. We wanted to bring in a Chennai boy into our fold,” he added. Mr. Viswanathan Anand said he himself was a customer of TVH and that his experience was good. “We will do some interesting things together, including chess,” the chess champion said. The association with TVH would grow in strength in the years to come, he added. Anand also represents Vidyasagar (formerly known as the Spastics Society of India) as its global ambassador, without charging a fee and hosts an annual fundraiser for Vidyasagar each year. -- First appeared in The Classical Illustration by Alex Roland. 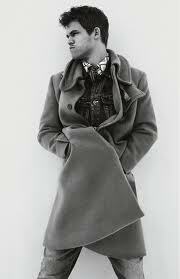 Jonathan Zalman is a New York-based journalist, writer and teacher. Connect with him on Twitter @ZalmanJ. The organising committee of the Anand - Carlsen World Chess Championship 2013 in Chennai has released a schedule for a special chess events' series that would run parallel to the Title Match. 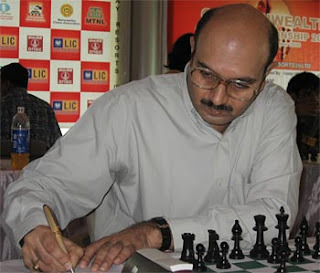 The International Grandmasters' Series, to be held in the cities of Chennai, Hyderabad and Kolkata, lists premier events from the calendar of the All-India Chess Federation to celebrate the World Chess Championship match. 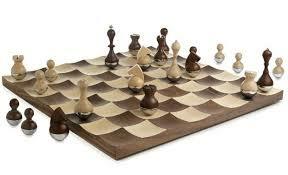 The series includes chess open tournaments and tournaments for those rated below 2000 or below 2100. Attractive conditions are offered for participants if they happen to be GMs/WGMs. State-of-the art transmission of top chess tournaments has created a new niche: Chess commentary. Somewhere from the Anand - Gelfand World Chess Championship 2012 to the London Chess Candidates 2013, chess commentary has developed as an art form. 1 - Garry Kasparov: No two thoughts about this one. Expect carpet bombing, ballistic missiles, commentary room on fire, a zillion re-tweets, journalists in hectic-jot-mode or stunned mode, audience in aww-man mode and all without gunpowder... That's just when he enters the room. What's life, or chess, without passion? 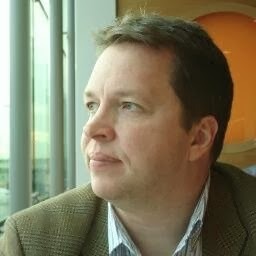 2 - Nigel Short: Nothing could possibly replace quintessential British humour, knowledge of chess history and chess real-life tales from a guy who's been there, done that. Short would make the shortlist any day also because of all the cricket he can toss in! (in a cricket-addicted country like India). 3 - Alexandra Kosteniuk: Okay this one's a package deal. You connect to the Russian, French, Spanish and English audience in one go (not to mention Swiss and American residents speaking any language). You get hangers-on for chess even if they don't know chess. 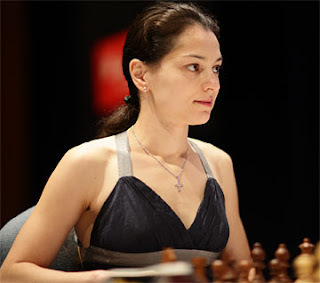 She brings the technical knowledge of a world chess champion to the table along with the distinction of having squashed both Anand and Carlsen in blitz (not to speak of Aronian, Polgar and the rest of the A-list). The organisers also get a one-(wo)man newsroom team, social media expert and a chic Chess Queen rolled in one. 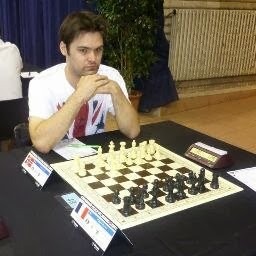 4 - David Howell: Reigning British chess champion, handsome quotient for the girls in the audience and fun comments... We want him back... where's he been since the London Chess Candidates. Sigh. 5 - Lawrence Trent: If Howell is there, how can Trent be far behind. He's the guy who knows his job. He makes all the chess mortals in the audience feel good about themselves and keeps their self esteem from dipping. 6 - Anastasiya Karlovich: Lady, just sit there! 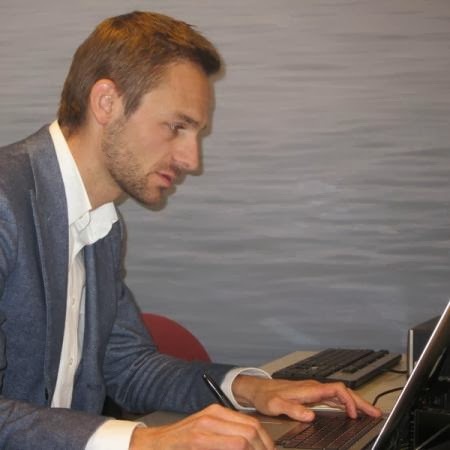 7 - Dirk Jan Ten Geuzendam: For all the ways he can play with the editor's pen and twirl it without dropping... for the way he brings out the best in his interviewees and co-hosts. The mild mannered Clark Kent with his chess reminiscences, anecdotes and great chess questions - all are worth their weight in gold.